Let’s talk about guilt for a minute. Mine, to be specific. I feel the need to be by myself for five minutes? I can’t handle bath time without feeling frustrated? -What kind of mom are you? I still haven’t wiped off the glob of sweet potato from the high chair, my husband has no clean socks, and I can’t remember the last time I washed Micah’s hands? -Who gave you permission to be a parent? It seems like everything I do lately, from discipline to cleaning to cooking, it’s not good enough. That little voice in the depth of my heart is still condemning me. What? I don’t have $500 to spend on my daughter’s first birthday party? Or the stamina to pull all nighters making absolutely and perfectly adorable decorations? -Why should you even try? You aren’t creative enough to pull this off. My grace is sufficient for you. My power is made perfect in your weakness. My soul breathed a sigh of relief. Even if for some reason that I may never understand, I expect perfection from myself, God doesn’t. He doesn’t even want me to “have it all together.” His grace is enough to cover our dirty floors. 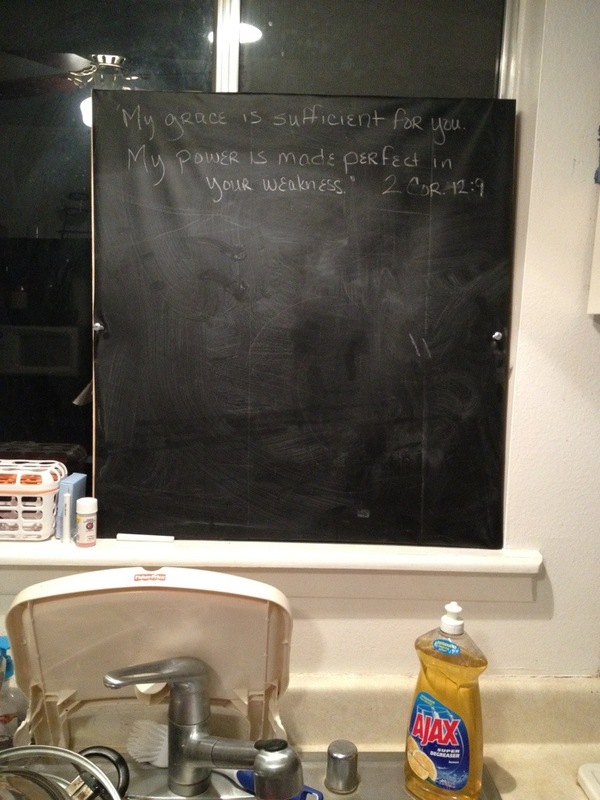 His grace is enough to cover my terse reply to Micah while I was cleaning up after Norah’s second pee accident in a row. His grace is enough to silence the ruthless lies. My goal tonight is to dwell on His grace. To see every one of my failures as a possibility for Him to show off His power. And to accept that He sees me as valuable, even when I can’t measure up to my own standards. Beautifully written! You can be a great inspiration to young Moms who hear the same voice. I know because I’ve heard so many say the same things. Keep writing Kim!! Always remember, the most important thing your kids need is your love and attention – YOU! You do that beautifully!